Is there a Real Dr. Doolittle? Yes, there is! Welcome to our Show on Talking to the Animals! I want to teach you what I know so you can learn how to talk to your animals, why it’s important to hear your animals viewpoints and how reconnecting with animals makes you a better human. Reconnecting with animals helps us be better humans, and is an exciting journey into Self, the nature and reality of our world, a behind-the-scenes look at the complex interactions between us all. Any animal lover can learn how to communicate with animals, you can too! 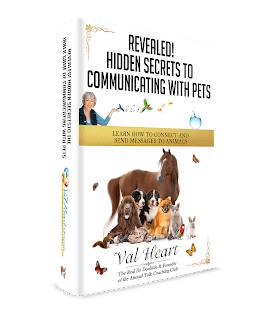 Learn how to connect at the heart for a magical bonding experience with your animals. Alecia Evans has been successfully transforming the relationship of hundreds of dogs of all ages, breeds and temperaments with their people since 2001. As a Holistically minded dog trainer Alecia works with issues ranging from bringing a new puppy home to severe aggression. Her philosophy is harness your dog’s energy to unleash their greatest potential and your own. She began suspecting that many of the tools used to train dogs and puppy’s were causing undetected harm and damage to the dog’s neck, throat and spine areas. Often times having long term ramifications that few trainers or veterinarians are aware of. Never feeling right about choking dogs and unsuspecting puppies to train them, Alecia invented The Walk In Sync Humane Dog Walking and Training System as the gold standard of training tools in order to end the choking of dogs during training and walking. Alecia is revolutionizing the dog training world with her exclusive 5 Minute Manners Makeovers using the Walk In Sync Harness and Accu-Grip Leash, along with her Walk In Sync 3 Easy Steps to teach any human/dog duos to Walk In Sync in just minutes. Alecia’s background as an Animal Wellness Consultant over the last 15 years has been focused on nutritional health and emotional well being utilizing nature’s pharmacy of supplements and natural remedies to address the animal’s root issue and restore balance to their system and behavior. As the former host of the award-winning GrassRoots Aspen TV Series, The Whole Animal- An Alternative Approach to Animal Care, Alecia takes a natural approach to dog training and health care. 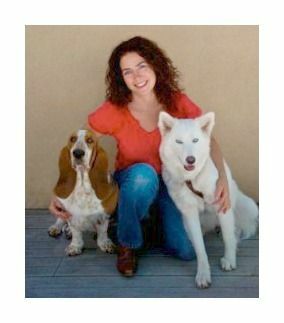 Her work has been featured on: Fox and Friends, The Sandra Glosser Show, NY 1, and in Aspen Magazine, Dogtipper.com, The New York Daily News and Woof Report. She is the training expert for Dogtipper.com and Only Natural Pet Store. What made Alecia invent the Walk In Sync System. Although we have been taught for the last 60 years that training your dog by any apparatus around their neck or nose is ok, perhaps we need to rethink how these tools have been failing them. Training humanely is the highest tribute we can pay to our dogs and will not only make training more effective but will keep many dogs out of shelters who have been labeled behaviorally challenged. SHARING IS GOOD! My mission and passion is to improve the lives of animals the world over by helping humans learn how to speak their language, understand their viewpoints, and heal. After all, our love of animals helps us learn how to be better humans, and the more balanced and healthy we are, the more balanced and healthy they can be too. Would you help me reach more animal lovers? Please forward now!